Over the past decade we have seen Internet speeds get faster and faster. In our high-speed world people expect websites to load quickly, and many do not have the patience for sites with lag time. In fact, a recent study found that 57% of users will leave a site if it does not load within 3 seconds. This data indicates that if businesses are serious about keeping users on their site, it is essential that it is up to speed. 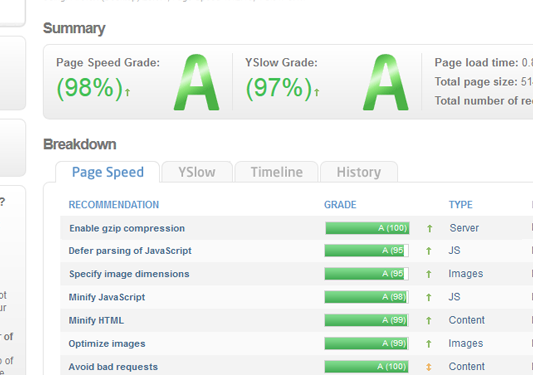 How Does the Speed of Your Site Compare? In 2010, Google added a new layer to its page ranking algorithm- site speed. Major sites like Google and Yahoo have load times of less than 1 second. Mega-retailer Amazon has a load time of around 5 seconds. Simply put, load times of under three seconds is the ideal, but may not always be possible. What Factors Affect Your Site’s Speed? In some cases, a sites load time is directly related to the network infrastructures within a country, which a company has no control over. For example, a site that takes 5 seconds to load in the U.S. may take 8 seconds to load in Mexico. But in most cases, a slow site is the result of poor planning and design. It never pays to take shortcuts when designing your company site. A lack of indexing and caching can cause an otherwise great website to slow down to a snail’s pace. How images are added to the site can also greatly affect load times. Does a site that is just a couple of seconds slower than the ideal load speed really make a difference when it comes to sales and revenues? Research shows that it does. According to one study, just a 1 second increase in load times can result is an 11% decrease in page views, and a 7% decrease in conversions. Depending on your company’s data, this can result in a substantial amount of revenue. The use of Smartphones has exploded, and more people than ever are accessing the Internet from their mobile devices. There are several options available, such as having a “M dot” site that is low on content and images, or a mobile optimized version of the desktop site. No matter which option you choose for your company’s site, it is essential that your mobile site loads as quickly as possible. A slow loading website doesn’t just hurt your Google ranking- it will also drive away both desktop and mobile users from your site. When building or redesigning your site and choosing your cloud hosting environment, make site speed your number one priority; your customers will appreciate it, users will have a better experience on your site, and you’ll likely increase your revenues.